Tenvir EM Tablet Used in combination with other antiviral medications in patients with acquired immunodeficiency syndrome, offered tablet is precisely processed by our skilled professionals using quality proven chemical compounds and ultra-modern technology. So as to retain their effectiveness, this tablet is well packed using optimum quality packaging material. In order to ensure their quality, this tablet is tested against various parameters. 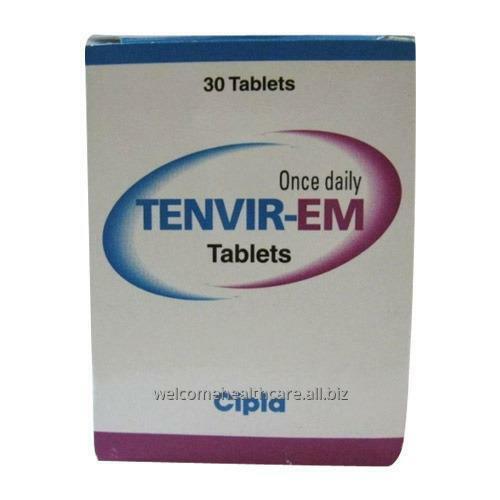 Unbelievable price on Tenvir EM Tablet HIV And AIDS Medicines in Mumbai (India) company Welcome healthcare.